From the land of the great Zambezi River, Lewis Ncube (pronounced Nx-u-bay) has put Zambian Chess on the right track. 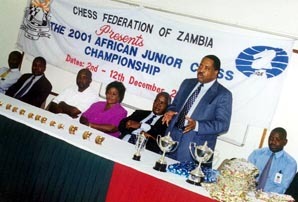 Serving as the Federation's President, he has been the impetus for increased chess activity in Zambia and the rise of several strong players, most notably IM Amon Simutowe. "I believe that the sustainable development of chess in Africa can be achieved through the teamwork of the Continent's administrators with inspirational leadership. In offering this leadership I commit myself to the ideals of sound and responsible management coupled with transparency and accountability." 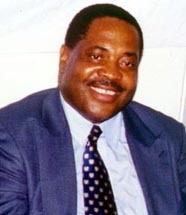 In the past 30 years , Mr. Ncube has served Zambia in a variety of capacities as a player, organizer, and administrator. He is now seeking to utilize his array of skills in helping to make Africa the rising star of the chess world.